We recently wrote an article about What It Takes To Qualify as a Women-Owned Small Business (WOSB). Under the Small Business Act, Women-Owned Small Businesses (“WOSBs”) and Economically-Disadvantaged Women-Owned Small Businesses (“EDWOSBs”) may receive a leg up in trying to obtain federal contracts. To qualify as a WOSB, a concern must be (1) a “small business,” and (2) at least 51% unconditionally and directly owned and controlled by one or more women who are U.S. citizens. To qualify as an EDWOSB, the business must also be at least 51% owned by one or more women who are economically disadvantaged. In our prior article, we broke down exactly what each of those requirements means. If a business concern meets all of the requirements to be a WOSB or an EDWOSB, then it is eligible to participate in the WOSB Federal Contracting Program and compete for WOSB set-asides and/or receive sole source awards. However, the concern must first be certified as a WOSB or an EDWOSB. There are currently two ways to be certified: self-certification or certification by a Third-Party Certifier (“TPC”) approved by the U.S. Small Business Administration (“SBA”). Self-certification may not be around much longer. The National Defense Authorization Act for Fiscal Year 2016 eliminated the self-certification process for the WOSB program. However, the SBA is still reviewing how to implement the change. Until the change is implemented, it is not yet effective and eligible firms may continue to self-certify. To self-certify, the firm must register in the System for Award Management (“SAM”) and then complete a questionnaire and upload documents to certify.sba.gov proving that the firm meets the requirements to be a WOSB or EDWOSB. The documents include copies of: birth certificates, naturalization papers, or unexpired passports for the women owners; any joint venture agreement; for a limited liability company, the articles of organization and operating agreement, including any amendments; for a corporation, the articles of incorporation and by-laws, including any amendments, all issued stock certificates, the stock ledger, and any voting agreements; for a partnership, the partnership agreement, including any amendments; and, for an EDWOSB, a personal financial statement for each woman claiming economic disadvantage. The other option (which will eventually be the only option) is to obtain certification from a TPC. Only SBA-approved TPCs can provide the required certificate of eligibility as a WOSB or EDWOSB. There are currently only four TPCs approved by the SBA: El Paso Hispanic Chamber of Commerce; National Women Business Owners Corporation (“NWOBC”); U.S. Women’s Chamber of Commerce (“USWCC”); and Women’s Business Enterprise National Council (“WBENC”). The El Paso Hispanic Chamber of Commerce does not list the documents required to obtain its certification on its website, but the other three TPCs do, and they are fairly substantial. For example, the NWOBC requires, in addition to all of the items noted above for self-certification, a variety of corporate documents, including copies of: bank resolutions and signature cards authenticated by financial institutions; documentation of how the company was capitalized; any assumed/fictitious name certificate; a certificate of good standing issued by the secretary of state; the latest statement of information filed with the secretary of state listing the firm’s officers, directors, managers, members, or general partners; for a corporation, original organizational minutes, any subsequent minutes recording changes in ownership, control, and/or management of the company, and minutes of all shareholders’ and directors’ meetings, or written consent to actions without meetings, within the preceding 12 months; and, for a manager-managed limited liability company, minutes of meetings or written consents recording any change in ownership, control, or management of the LLC or when the managers were appointed. The USWCC requires applicants to upload many of the same documents, including, for limited liability companies, all company meeting minutes, and, for corporations, minutes from all meetings of the board of directors. And the WBENC likewise requires substantial documentation concerning owner eligibility, the company’s financial structure, personnel, and management structure, and governance information, including, for corporations, minutes from the shareholders’ first organizational meeting, the first board of directors’ meeting, the shareholders’ and directors’ meetings establishing current ownership, and the most recent meetings of shareholders and directors. Once certification from a TPC is obtained, the concern is required to upload to certify.SBA.gov only a copy of the third party certification and any joint venture agreement (if applicable). In sum, getting certified as a WOSB or EDWOSB can be a little time consuming in assembling the required documents. In the end, however, it may be time well spent if it allows the concern to compete more effectively for government contracts, including set-asides and sole source awards. See NWBOC, Application for National Certification as a Woman-Owned and Controlled Business. 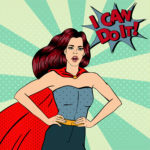 See U.S. Women’s Chamber of Commerce, WOSB and EDWOSB Checklists for First Time Certifications, available at http://uswcc.org/certification/wosb-certification/. See WBENC, Documentation Required for WBENC WBE Certification.